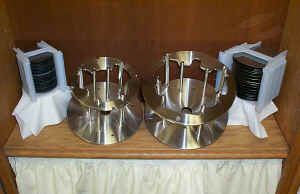 The photos shown below illustrate the diversification that C&J Engineering has to offer in our spin rinse dryer rotors. 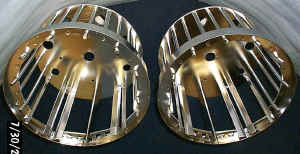 From top to bottom these photos represent our capabilities, from custom rotors to standard rotors...we build them all! 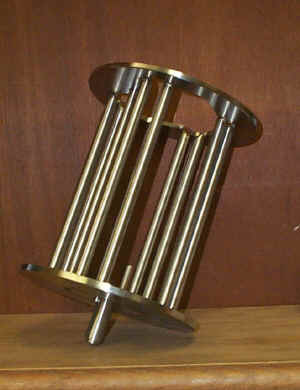 The material is T316L S.S. welded and electropolished. The bumper poles are covered with PFA or PTFE teflon tubing. The Dynamic balance specifications are <.25 ounce inches on all standard rotors. We're sure you will notice the difference between our rotors and the competition. 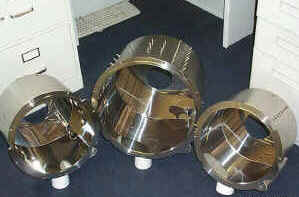 And, not only do we design and manufacture the highest quality replacement rotors for spin rinse dryers utilized in many different industries, we are a well known job shop that can build parts to your own specifications! 9 Station Microscope Slide Roter for 2300 S.T.I. S.R.D. (Entegris cassette) for S.T.I. 2300 S.R.D. 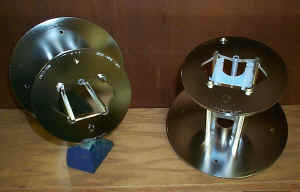 65mm Disk Quick Disconnect rotor for OLIVER S.R.D. 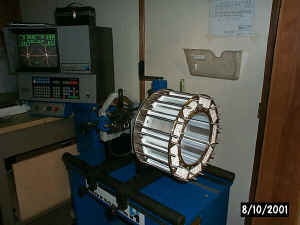 2" Wafer rotor for S.T.I. S.R.D. 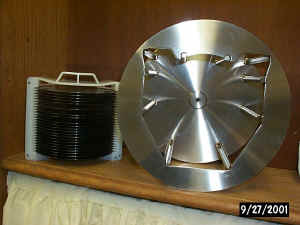 6" Wafer rotor for S.T.I. 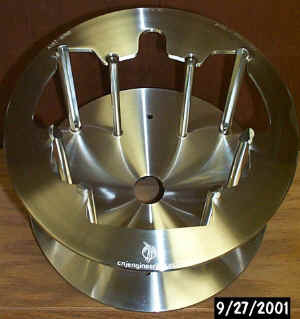 8" high profile wafer rotor for S.T.I. 2300 S.R.D. C & J Engineering, Inc. 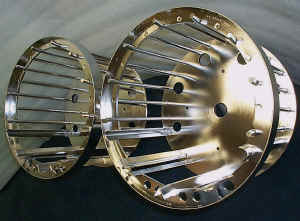 Designer and manufacturer of replacement spin rinse dryer rotors.